Journalist David Bedein launches campaign for synagogues around the world to sponsor Israeli families who lost their homes to recent fires. 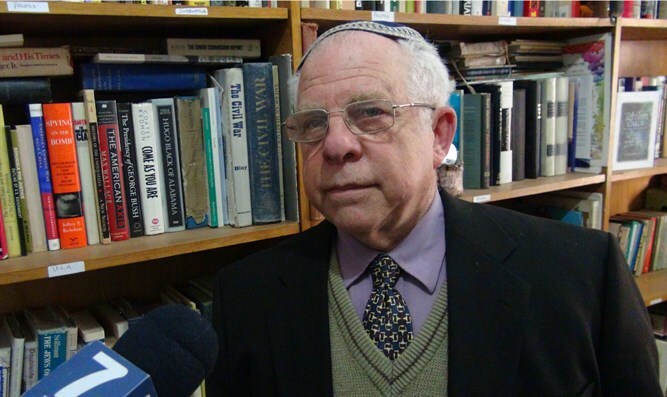 David Bedein, the head of the Israel Resource News Agency, spoke with Arutz Sheva about his newly-launched initiative to pair synagogues around the world with families who lost their homes in the fires that blazed across Israel less than two weeks ago. “I am coming at this initiative both as a social worker and as a regular Jewish person living in Israel." Bedein said. "I am shocked by the fact that after two nights, 560 families face a situation of the total loss of their homes, due to the arson that took place, and in less than two weeks the subject has completely disappeared from the public interest." Bedein took Israeli media to task for ignoring the plight of the victims. "Nothing [is] reported. In my work I follow at least twelve news outlets, and I don't see any of them doing follow-up work. Meanwhile, the families that I know are facing a situation of total trauma, and are already facing bureaucratic hurdles. There is no question about it from the experience that I've had as asocial worker...that the people who have faced a situation of total loss, if left to fend for themselves, will not be able to get the proper compensation that they need." His initiative aims to bring the victims' plight back into focus so that their needs can be addressed. "The idea is to awaken in the heart of every Jew, every synagogue, the chesed (kindness) which characterizes the Jewish people." Each participating synagogue would sponsor a single family which lost its home to the fires. The goal is to have 560 synagogues participate, one for each affected family. “I compare this to the Soviet Jewry movement 40 years ago, when synagogues would sponsor one Soviet refusenik and his family and make them part of their community.” Bedein said.